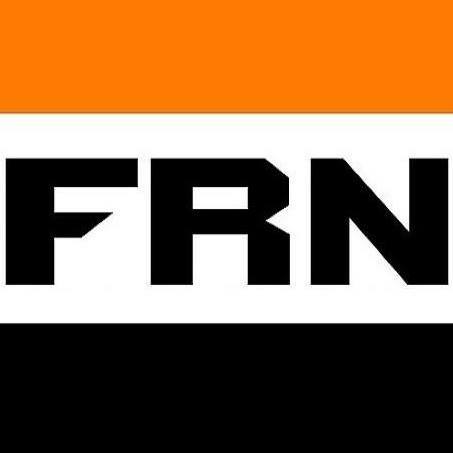 In this interview, Mr. Flores explains why Vladimir Putin was the most appropriate individual to perform the functions required by the Russian state, through the KGB. He delves into psychological profiling, the pertinent biographical background on Putin which helps to substantiate this, and several of the tasks he was assigned. The following is an adapted transcript. 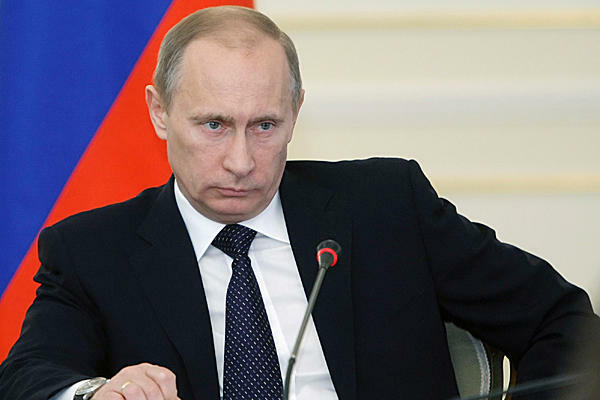 Putin is probably one of the most key element players in the last 30-40 years of history. Who he is, his background, where he comes from, why he’s in the position that he’s in, why he was chosen for that position, what his aims are … you know a lot of people were technically qualified to do what Putin is doing, but they’re not psychologically qualified. And there’s a lot of interesting things about Putin’s history which are qualifiable, and they are actually looked at by his recruiters and the position he’s in today go back to his activities as a small child. 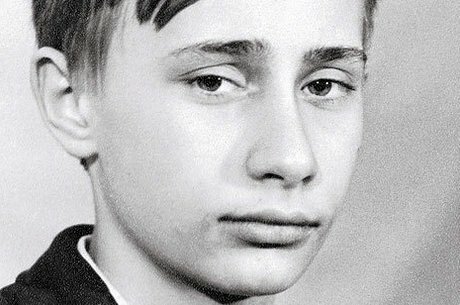 What happened with with Putin is that he was a non-conformist early on, and he was sort of cynical about things like education and institutions. I think we live in … my personal belief, is that we live in times that for good people who are intelligent it’s very difficult because they see a world that’s full of lies and corruption and they can see that people who are opportunistic get ahead. And so they withdraw from activities like education, public life, school and these kinds of pursuits. What happened with Putin is that he, like many good people who are also strong and intelligent, is that he saw that there was a lot of hypocrisy in the system and that other school children who were willing to just placate the teacher’s demands or to sit in front of the classroom got ahead, and so it wasn’t until he was thirteen years old almost that he joined the Young Pioneers. And he did this as a conscious decision. In part he was inspired by his father who was also an intelligence officer (NKVD) and was active in WWII. In fact his grandfather was a cook, a chef, who prepared meals for Lenin and also for Lenin’s wife Nadija Krupspaya and also prepared some meals for Stalin. So he comes from a line of trusted people. And when you prepare food for people you are also like an intelligence asset, because you can’t be suspected as someone who could be involved in a poisoning. His father a very crucial intelligence officer in the WWII period. 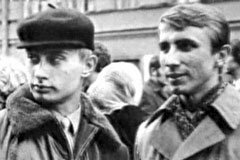 Putin as a child was always into Soviet cinema that focused on NKVD (as Cheka) agents, there was a whole genre of films that were like western films, they were on trains and involved horses and whatnot, except it was Soviet intelligence officers against these corrupt bandits. So he made a conscious decision as basically a teenager to join the Young Pioneers and pursue this field, and he studied … he didn’t go through the military which is unusual for intelligence officers, and that may have been his greatest asset, and instead he went an alternate route where he studied International Relations and got a degree in Law from Moscow State University. Then he went to the Red Banner Institute of Intelligence and International Relations, it’s also called the Yuri Andropov Institute. Now its just called the Moscow School of International Relations. This is a known institute for those of us in the field of International Relations. It’s a highly esteemed institution, probably the best in the world, and at the time The Best. So he was vetted early on. One of the things to understand is that he in particular studied counter-intelligence which is key in understanding why he’s the critical player. As you and the audience understand, counter-intelligence is not just finding spies, but its actually countering the work of other agents who are embedded or whose work involves embedding themselves to destroy institutions from within. 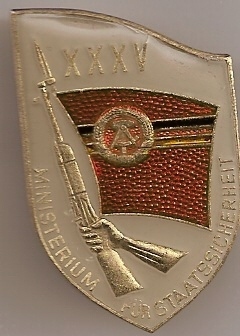 And so now we move forward into nearly the modern period, where in between 1985 and 1990 he was stationed in East Germany, in particular in Dresden, and his job there was to coordinate the work of Stasi operatives, which was like the East German version of the KGB, to coordinate the work of Stasi operatives and KGB. And through this he made a lot of contacts. Now one has to understand that for a long time, probably since the 60’s, within KGB war rooms, where they basically sit down and they form separate study groups, like a think tank, and they run through all of the different possible scenarios of how the enemy is going to try to take down the Soviet state. They basically ruled out intercontinental ballistic nuclear warfare, they pretty much ruled that out because of MAD. But they basically believed that the main way that the Soviet Union was going to be taken down was from within, through agents infiltrating and a course of events. And this is not something that’s talked about a lot in the media. They tend to focus on the Soviet adventure in Afghanistan or Imperial reach or over-extension, but in fact the Soviets recognized early on that the primary weakness was the situation that involved precisely what happened. And because of that they already had counter measures and game plans and game scenarios figured out. They had them mapped out, like in chess, you have them mapped out 10, 15, 20 moves in advance. So in essence what basically happened you had the state apparatus which was compromised. At the core of every state is this intelligence organization, and in this case its the KGB, and then what the CIA basically succeeded in doing was compromising key elements of the KGB. 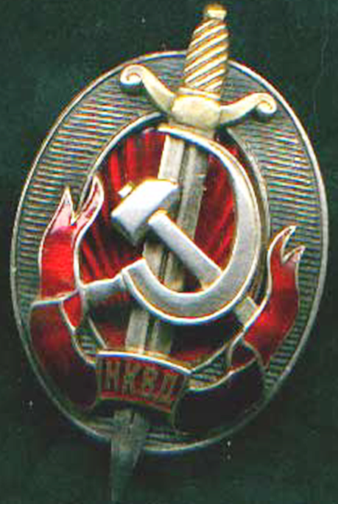 But because this was one scenario that had already been planned ahead, the KGB had already had a system of vetting their double and triple agents, so they had an inner core of the KGB so basically after the period between ’89 to ’93 they went through a very rigorous process of hermetically sealing off a state within the state. So there was sort of a Soviet era KGB which was existing. And this is sort of like the spy left out in the cold scenario. So you need certain types of people, a certain type of rigor, a psychological type which can exist for a long time while there’s tons of misinformation, disinformation, and propaganda, and people turning on you left and right and you can persevere with the mission. And this is the hermetically sealed inner core of the KGB. What ultimately happened is you had the Gorbachev-Yeltsin scenario just as the Soviets had predicted was one very likely possible scenario. And the thing is he (Putin) is a person with his own clear sense of person-hood. This has been written about, there was a book written ‘Confessions of an Economic Hit Man’, by John Perkins, and he wrote that there are certain types of personalities, a psychological profile, there are certain personality types of world leaders who cannot be corrupted. They what are called incorruptible. They are incorruptible men. They are people of purpose, they might have a profound spiritual component, or they might just have a profound sense of justice or purpose. And they cannot be bought off, and they are not afraid of death so they cannot be threatened with death. So if you cannot buy someone off and you cannot scare them, I’m not saying that he’s a person who can’t be criticized. I personally have a problem with Monday morning quarterbacking or back-seat driving. I think that being in situations demands certain things which are not meant for most people to understand, quite frankly. But nevertheless they had this hermetically sealed KGB, and they created the illusion that they were all compromised agents, because the whole state was falling apart and the oligarchs were coming in and many of the oligarchs came from within the KGB and the military. And many of them immediately received Israeli dual citizenship. What happened was there was a whole process, its still going on right now, but I think main work has already been done, that’s my assessment. But they basically had to … one of the things that Putin had to do to gain trust of the disloyal oligarchs or the agents who turned, was that he had to be involved in some of these little scams and there was a transaction of precious metals and what not, a hundred million euros here and there, unaccounted for, and Putin had to be involved in these, in these mafia like crimes, to gain the trust of these mafia like oligarchs. Many of them were American and Israeli citizens and agents as well. He had to play the role of double agent, but once you’re in a double agent role, I won’t digress here, but once you’re in a double agent role actually it becomes a little bit easier because things that make you look like a triple agent you can justify, you can excuse under the role of being a double agent because you’re going back and forth. So things that make you look like you’re actually … you’re already known as someone who works on both sides so you can always explain things has having to keep up appearances. The work is very difficult and stressful but once you’ve established that you’re a double agent the work becomes a little easier insofar as gaining trust, knowing who you’re working with. Russia is his principle. In response to suggestions that Putin is supported by Jewish oligarchs or Israeli oligarch, or he’s a false opposition figure. The problem with convincing lies is that there are significant elements of truth to them. In order for him to play his role, the reason that he was the perfect match for this position, is that he was able to make alliances with some of these oligarchs. Now many of these, since, have fled the country, there are a couple that he had taken out, there was a couple that he put in prison, some are living in Switzerland, some are living in England. Those are the obvious betrayers of the Russian state. With others its still, its like fishing and you there’s a give and take with the pole, and he’s trying to reel in different people but he’s one of the last of the Mohicans. Putin’s one of the last of the Mohicans. There are people who put principle before everything, and they are not successful. There are people who are just completely, purely opportunistic or pragmatic to the point of opportunism and they are successful at enriching themselves but they normally leave a wasted society behind them. But there are people who understand the middle path, between staying true to the ideal (and being pragmatic). Just like in Sun Tzu’s Art of War, the tactics of the opponent are not what defines him. You must use all of the tactics at your disposal. What defines the opponent is that he is in opposition to you fundamentally, and if you are trying to take the path of the righteous you cannot practice so-called purity of arms. You have to use all of the tactics that work of the opponent. So its not the opponent’s tactics that define him as evil. It’s his goals. So what (Sun Tzu) he’s saying is that the Ends Justify the Means. And this the thought, this is Putin’s mind. Explaining the pioneering club, the Young Pioneers was connected to the International Youth Comsomol, this was just the Communist Youth. Anyone who had aspirations to be like a bureaucrat or a middle manager, something boring like that, had to be a Young Pioneer. You know, kids joined as early as 5 or 6, instead Putin was taking Judo classes. He was kind of a rebel, because he saw he was living in a society that had a lot of hypocrisy and contradictions. This actually made him the type of agent that works. One of the failings in American intelligence is that they are recruiting primarily the goody two-shoes and the yes-men. And this creates, in social psychology and in public administration this creates a paradox called the Abilene paradox or Group Think Paradox, which is basically that if you recruit people based upon the fact that they are pliable and that they are people who go along with the program, then you are basically blocking the possibility of making intelligent decision making. And so one of the main failings in American intelligence is that they are hiring people primarily from military background who are conformists, but what makes the best intelligence officer is someone who’s had a background of non-conformity and who has a strong sense of their personal identity. Those are people who can’t be bought off. That’s the type of psychological profile that Putin fits. This entry was posted in Multimedia, Strategy & Tactics, Theory and tagged Abilene paradox, biography, Corruption, Counter-intelligence, counter-revolution, geopolitics, geostrategy, group think, KGB, NKVD, Putin, Russia, Soviet, think tank, USSR, Vladimir Putin, youth. Bookmark the permalink. That was interesting. Now, if we could only figure out who is behind all the synarchy in the West, and what they want. By the way, there is a lot of chatter about the plan being a big attack or massacre in the Eastern Ukraine soon – to force Russia’s hand. Any thoughts? It would seem foolish to allow them to vote to leave when a massacre could draw Russia in, which would have lots of advantages. For example, the declining economy would be blamed on Russia. A combination of regular Ukraine Army, Pravy Sektor militia, and US mercs will plan to attack some areas supported by copters. But the occupied buildings will not be dislodged. Russia will do everything possible not to officially respond, while getting in more special forces dressed as local citizen militia. The obvious question becomes who does the hermetically sealed KGB run in the West and is Obama an agent? After all we have key defectors who told us the collapse of the USSR was a ruse and obviously many crucial leaders of the West are shall we say curious figures whose murky past helps us keep guessing. Merkel and her Stasi connection for instance. I would like to untangle your question/statement. No – The KGB does not run anyone in the US, and Obama is not an agent. 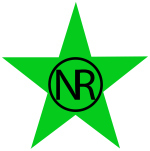 Obama is a tool of a newly arisen synergy of the Neo-Con Unilateralists and the remaining pieces of the Trilateralists. The Neo-Con Unilateralists are themselves a spin off of the Committee on the Present Danger (Unilateralists) faction that was co-opted by Israel/Mossad. For this to work required first significant co-option of Brussels end of NATO by Mossad. Obama is influenced by those Neo-cons who merged with the Trilateralists and still have an ear for whatever remaining sanity still exists in the intelligence and military command. This is why we saw Kerry heed Lavrov over Syria and Netanyahu was left losing credibility, as Iran recovers from toothless sanctions and its nuclear energy program moves forward every day. The CPD itself was spun out of Team B as an attempt to overcome potential Aberdeen Paradox of CIA, termed ‘Team A’. This is ironic because now the offspring of Team B are now the ones with the Group Think problem I mentioned in the piece. Yes, the collapse of the USSR was not complete, somewhat of a ruse in many ways, but not for reasons and not in ways understood by every defector. They understood there was something fake about it, because of the known process of inner party hermeticization. But the extent, reasons, outcomes, etc. were not known then due to compartmentalization. Yeltsin was certainly not part of the ruse. He was a full fledged agent of the US and Israel. That’s the distinction. Yes, Merkel has Stasi connections and yes, while she herself is not terribly bright, she does represent a specific corridor of interest of the old DDR of the people surrounding her. But she represents more than one corridor of interest. She is also handled by the far-west. 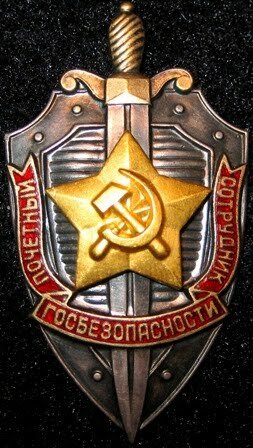 The hermetic Stasi is nothing like the hermetic KGB. Still it exists, and yes they are in essence a crypto-wing of German Eurasianism today. There are also much more pragmatic and practical reasons that Germany is gravitating to Russia, and it is not necessary to be explained in cloak and dagger terms, even though there is a strong C&D element. Finally, 115 years ago German intelligence has projected that the proper alliance of Germany was with Russia and the East and against England and the West. This was the parting advice of Otto von Bismark to Kaiser Wilhelm II. Germany now has an opportunity to revisit this line of thought. As for the US, that is another issue entirely. A rational statesmen would synthesize the Anglo and Hispanic cultures, and re-orient a Monroe Doctrine and focus on the Americas alone. Do you recall the Reagan quip about the right hand and the far right hand–how the right hand knows not what the far right hand is doing? Mirrors and lies about reflections that require careful thought about statements made by people like Golitsyn and Mitrokhin and another look at the Red Decade. Trostsky and Lenin were financed by German money. Trotsky was interned with his money by England until Col. House got him let go. Lenin of course sent in a sealed train to the Finland Station by the Germans. I suspect both Russia and USA are gamed by the globalists and of course players can be hired by other players as we saw with Primakov and Markus Wolfe getting jobs with Homeland Security. Interesting. Many of us have trouble figuring out who Merkel is. Her father seems to have been a pastor with enough clout to do bad things. Then comes the big question. The EU forced Yanukovich into a hopeless situation, and they also must have known about the US’s plans. Did the Poles, Germans, and French support the way things went? The image we get in the press is that Merkel has been more on the anti-Russia side of things since this situation with the Ukraine started. During the time of Reagan, and before the rise of Email based intelligence gathering, the structure of the Interlocking Directorate which managers the affairs of the owning class – the ruling class – was such that the right hand didn’t know what the ‘far right’ hand was doing. True enough. But also true in other places as well. Golitsyn offers some good insights, but is critically lacking for a number of structurally necessary reasons. The extent to which the CIA penetrated the outer shell of the KGB is interesting and yet lacking in Goltsyn’s analysis. He is essentially right with regard to ‘some’ of the thinking behind Perestroika and Glastnost, and he was aware that these would be emergent phenomenon. This also partly explains the very short lived administrations of everyone after Brezhnev and until Yeltsin. His analysis is too ‘black/white’ in that sense. Perhaps this was to make it simpler for broader audiences, but I don’t think so. The problem with traitorous personality types like Golitsyn is that they try to portray their anti-Russianism as anti-Communism, which are related, sometimes overlapping, but also distinct phenomenon. They also generate book sales and under-represent American intelligence in critical areas which magically line up with the rise of Team B and ‘parity panic’ memetics. 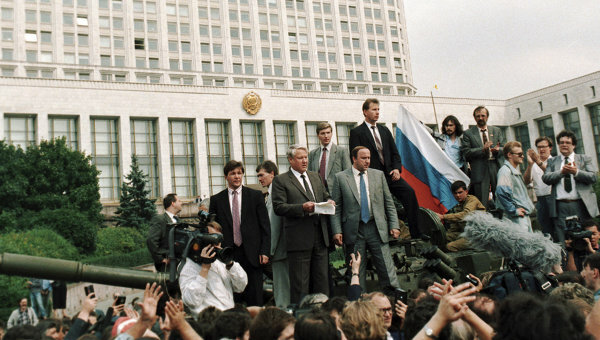 For many decades prior to Gorbachev the Soviet Nomenklarura had abandoned the kind of ideological zeal which had characterized the first generation of Bolsheviks – they were and had been for some time basically pragmatists and functionaries. The point being here that connections to ‘KGB’ should not be misinterpreted as some kind of ‘Communist-Atheist’ plot in the Nixon-McCarthy sense of histrionic discourse. The matters, as far as this reach is concerned, are purely geopolitical and geostrategic. Trotsky and Lenin were financed by German money – Trotsky was critical in linking with Parvus who was a real-estate shyster and Marxist Social-Democrat within the German party. But financing doesn’t mean a unidirectional agency. Everyone, like today, was triangulating and gaming everything. The Kaiser had been of the belief, as well as the German establishment, that ‘Socialist economics’ were an impossibility, and that the Bolsheviks could not actually ‘build’ anything. This made the Bolsheviks an attractive proposition, because they promised to pull Russia out of the War. 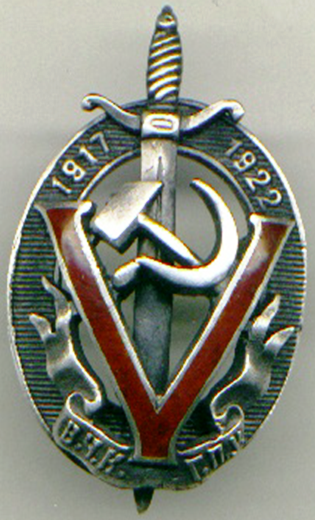 Lenin and Trotsky were German assets for period, but not German agents. Lenin immediately bucked his financiers and attempted to re-double the Russian War effort. Problematic, however, was the disloyal generalship of Trotsky over the Red Army. This led to several major defeats and the loss of Russian territory in Galicia/Poland and modern Ukraine. It took some time for Lenin to understand the problem of Trotsky, and until his dying day probably never fully understood it. It is questionable if Lenin’s last testament is legitimate or not. Lenin had envisioned the liberation of Constantinople from the Ottomans. It was Stalin who fully understood the Trotsky problem, and proceeded fully with the Leninist program of bucking the German aims. It had been hoped that the Soviet’s socialist experiment would fail on its own, because pre-Keynesian conceptions of economics more or less ruled this out on conceptual and ideological grounds. USSR had been envisioned by Western financiers as a source of raw material and a permanently underdeveloped series of regions. Stalin bucked this, and the rest, as they say, is history. Joaquin, you said: “Trotsky and Lenin were financed by German money…” I though Kuhne Loebe Bank (JP Morgan) money? Or am I confusing it with the 1917 Bolshevik Revolution? I gained this understanding fromJuri Lina’s video “In the Shadow of Hermes”. According to Pipes, relying on numbers from Eduard Bernstein, the German government sent “more than 50 million deutsche marks in gold” from 1917 to 1918 to help the Bolsheviks establish and hold power. This was partly facilitated on the organizing end by Parvus, whose man in Russia was Trotsky, thus explaining Trotsky’s sudden rise to prominence while previously his pseudo-Menshevik faction was quite irrelevant. 50 million marks was equal to 10 million dollars in 1917. In today’s dollars, 50 million marks is equal to Value: $203,900,862.06 – Annual Inflation: 3.09% -Total Inflation: 1939.01%. Thank you. I must say I really found In the Shadow of Hermes very enlightening, especially taken in lieu of how westerners lied about and smeared Russia virtually since forever — so for us, to get to the real truth of Russian history, almost requires a study of a lifetime — time which many of us no longer have. Still, such joy to actually be able to at least get some understanding of her true history, of the suffering her people were subjected to. In so many western controlled countries though, most people still view Russia as a communist nest of iniquity and cannot see this brainwashed mindset changing for some years yet. Hope I am wrong. Thanks Joaquin … for helping to round-out my understandings. I’m not much of a biographer, but I take interest in personality analysis and its relationship to an analysis of power and leadership. Agree … you are absolutely spot on. How about it Dublinsmick?? Note: Organized my email folders a while ago and for some crazy reason your newsletters got filed in the Stop Nato folder, which I normally check out once a month — Was so happy when I discovered HCtheSun again! — lots of your stuff to read now to get up to date. As for Putin .. in my truly humble opinion, he is occupying the position on the world stage he is, because he is exactly where he must be for the terrible age we’re moving out of (Kali Yuga) and for taking not only Russia, but the world into the dawning of a new age. Just pray it is possible for Putin to continue playing a major part in Russia and in the world for another decade or two before he retires — so he can guide Russia through what is highly probable to be a few more painful birth pangs and growth years, before her wings are strong enough to send her soaring. Putin is writing history as he lives. Thanks for the light you spread around.